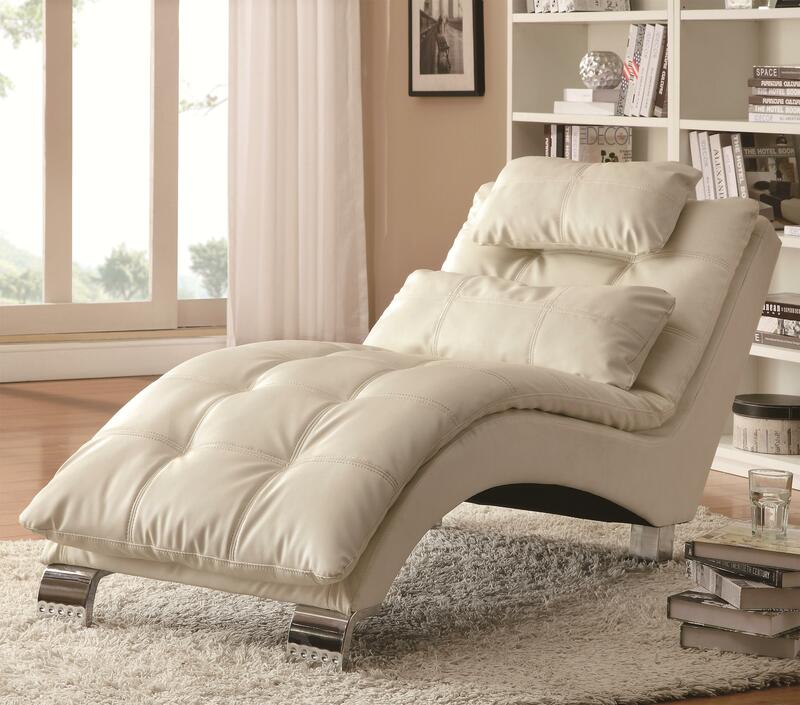 Capitalize on contemporary style with the casual look of this living room chaise. A piece designed for deep padded comfort, this chaise will transform rooms into the future with a modern curving design that features chrome finished legs and a geometric frame. Pillow-top seating throughout the piece adds extra-plush sitting while a striking white vinyl creates a clean-cut look. A casual piece with a large amount of comfort, this chaise can be used as an accent or with its matching collection items. The Accent Seating Casual and Contemporary Living Room Chaise with Sophisticated Modern Look by Rooms Collection Two at Rooms Furniture in the Houston, Sugar Land, Katy, Missouri City, Texas area. Product availability may vary. Contact us for the most current availability on this product. Fabric Content Available as Shown in White Leather-Like Vinyl. This Item May Also be Available in Black, Brown and Red Through Special Order Methods. The Accent Seating collection is a great option if you are looking for Casual furniture in the Houston, Sugar Land, Katy, Missouri City, Texas area.